Too often allspice is pigeon-holed as a sweet spice relegated only to holiday baking. I am so thrilled that Chef Ana Sortun is sharing her spice wisdom and inspiration with us to highlight just how versatile allspice is. I discovered the spice talents of Chef Sortun through her book Spice: Flavors of the Eastern Mediterranean and have cooked great food and learned an enormous amount about flavors and spices thanks to her book. I hope her contribution to Spice Inspiration will launch you on a cooking adventure to explore the wide range of foods that allspice complements. For example, Chef Sortun points out, "Combined with black pepper, allspice is great on red meat." With her cooking style seated in Arabic and Mediterranean cuisines, Chef Sortun finds endless uses for allspice. She says, "In Arabic cooking, it flavors rice dishes, raw meat kofte, a dish similar to steak tartare, vegetables and chicken broth. I love it in the summer and fall in different tomato preparations. Or in this salad mixed with feta and apples, it transforms into a signature Mediterranean flavor." Chef Sortun also shares a wonderful Schwarma spice blend that she describes as "amazing mixed with yogurt to marinate chicken before braising or roasting." In her memoir, Eating My Words, food writer Mimi Sheraton included Ana Sortun as one of the country's "best creative fusion practitioners," describing the chef's food as "inspired and inspiring." With a degree from La Varenne Ecole de Cuisine in Paris, the Seattle-born Sortun opened Moncef Medeb's Aigo Bistro in Concord, Massachusetts, in the early 1990s. Stints at 8 Holyoke and Casablanca in Harvard Square, Cambridge soon followed. When Sortun opened Oleana in 2001, she quickly drew raves for her creative combination of farm-fresh ingredients and eastern Mediterranean spice blends. Sortun's food, explained Catherine Reynolds in the New York Times, "is at once rustic-traditional and deeply inventive." After a visit to Boston, Tom Sietsema of the Washington Post wrote of Oleana, "Should you have time for only one place to eat, make it this space." The judges of the Beard Foundation awards certainly agreed, as they awarded Sortun The Best Chef: Northeast honor in 2005. Chef Sortun's cookbook, SPICE; flavors of the eastern Mediterranean, published in May 2006 by Regan Books, is already a best seller according to the Boston Globe and the LA Times. "This is not fusion food, nor has Sortun forced any technique or tradition. Instead she has allowed the flavors of the regional food, and her tangible love of it, to determine her cooking -- and her cookbook," says Amy Scattergood of the LA Times. SPICE was nominated for best international cookbook in 2007 by the James Beard foundation. 2006 also brought the addition of Siena farms, owned and farmed by Chef Sortun's husband, Chris Kurth. 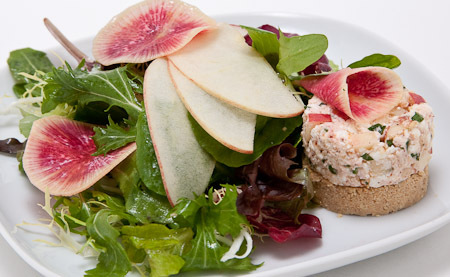 The farm, named after their daughter Siena, provides the restaurant all of its fresh organic produce. In July, 2008 Chef Sortun and Pastry Chef Maura Kilpatrick opened Sofra, a Middle Eastern café and bakery in Cambridge, Massachusetts. Ever since testing the Spiced Feta Salad, I have been craving it. The contrasting flavors and textures are delightful and the spiced feta cheese mixture is hauntingly delicious. I ate the leftovers on pita chips and will likely serve it this way as an hors d'oeuvre at my next party. The flavor combination of creamy pungent feta with the bite of pepper, tang of sumac, and warm richness of allspice is deep and complex, and then fresh bright bursts of apple and parsley jump in as a perfect flavor and texture counterbalance. If you think of allspice as a baking spice, this salad will open up a whole new spice world for you. Spice blends are one of the best cooking tricks around. 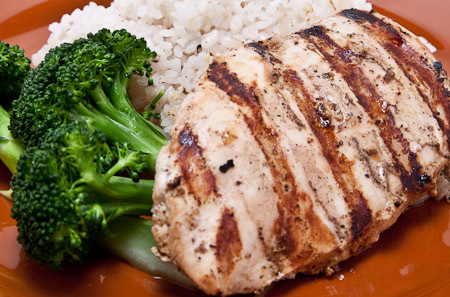 With a small collection of quality blends on hand a spectacularly flavored entrée can be created by simply sprinkling a spice mix on meat, poultry or fish, adding a little olive oil and salt then tossing it on a grill, in a pan or under the broiler. In a few minutes, a really tasty main course is ready to serve. That's how the Schwarma blend can make dinner a snap any night of the week. I explored Chef Sortun's suggestion to mix it with yogurt as a marinade for chicken, and I agree with her assessment that it is awesome. Here is how I made my Schwarma Spiced Chicken; this Schwarma blend has already become a staple in my spice drawer. 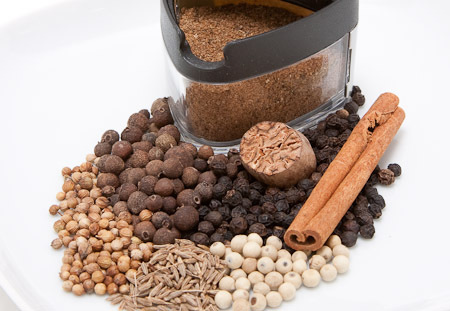 I find the combination of warm sweet spices like allspice, nutmeg, and cinnamon mixed with the pungent earthy aromas of peppercorns, cumin, and coriander to be extremely interesting. It's a flavor that makes me want another bite so I can taste it again. The Schwarma blend comes together to create a complex and sophisticated flavor with the beautiful irony of being so simple to cook with. These recipes are a perfect example of why I love Ana Sortun's book, Spice: Flavors of the Eastern Mediterranean. Her recipes teach me how to combine spices and ingredients in new ways to create flavors that I don't normally achieve in my daily cooking. The first recipe I made from her book was a carrot puree spiced with cumin and harissa and served with an Egyptian spice and nut mixture called Dukkah. The carrot and cumin combination was so earthy and sweet it remaines one of my favorite flavor combinations. The book is organized by spice chapters to focus on flavors and ingredients that work well together and is a nice introduction to Eastern Mediterranean flavors. Because this book has been a valuable resource for me I have included it in my Essential References. Oleana has received numerous awards and accolades and having been so taken with the recipes of hers I have made, I am really looking forward to dining at Oleana the next time I am in Boston.